- A week after a surprise German counterattack seized ground south of Les Éparges in the St.-Mihiel salient, the French have managed to retake some of the second-line trenches lost, but otherwise the Germans have been able to hold their new position. The gains still held by the Germans are greater than those accomplished in the entire French offensive at St.-Mihiel over the past month. Indeed, the Battle of the Woëvre has been an abject failure: with inadequate preparation, insufficient artillery, and poor coordination, French losses at St.-Mihiel and the supporting operation at Vauquois have been 65 000. Notably, this figure is 50% higher than the casualties that resulted from Joffre's primary offensive in Champagne during February and March. - At noon today German artillery opens fire, commencing the preliminary bombardment for the forthcoming German offensive near Gorlice and Tarnow. After dusk German infantry crawl forward to their start positions under cover of darkness, ready to begin the advance tomorrow morning. 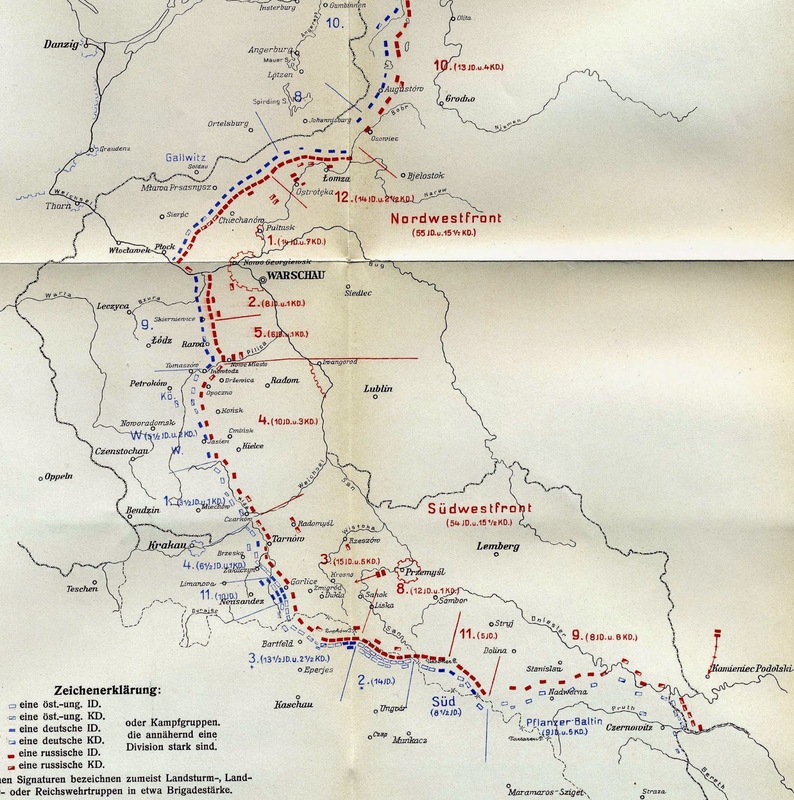 The Eastern Front, May 1st, 1915. - The Italian Cabinet meets today, where Foreign Minister Sidney Sonnino asks for advice whether Italy should formally and publicly denounce the Triple Alliance with Germany and Austria-Hungary. He argues that such a declaration should occur before an agreement with the Entente, so he could enter into negotiations with a clear conscience. This, of course, is an outright lie - Sonnino knows full well that the Treaty of London, committing Italy to enter the war on the side of the Entente within a month, was signed on April 26th. with the connivance of Prime Minister Antonio Salandra, this minor detail has been hidden from the Cabinet to avoid any unnecessary interference to their desire to steer Italy into the war. After discussion the Cabinet agrees to Sonnino's request, believing that only after the Triple Alliance has been denounced will Sonnino sign agreements with the Entente. - At Cape Helles on Gallipoli, as the British and French reorganize for another push on Krithia, the Ottomans launch a counterattack this evening. Hoping to catch the enemy by surprise, there is no preliminary artillery bombardment and the attacking infantry were ordered not to load their rifles. They give their position away, however, when the Ottoman soldiers yell 'Allah-o-Akbar' as they begin their charge. Sufficiently warned, the British and French are able to fire on the Ottomans, cutting down many before they can reach the Entente lines. In several places the Ottomans manage to make incremental gains, only to have them lost to British and French counterattacks. 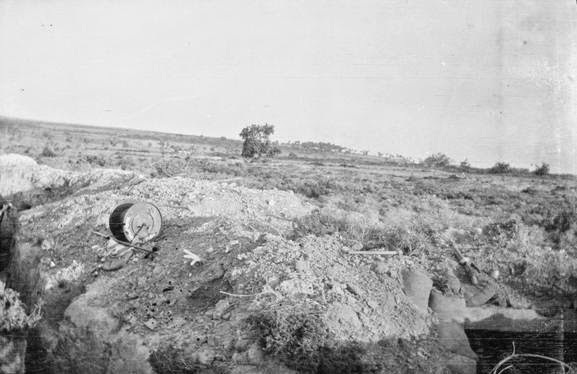 The view from British lines towards Krithia, May 1st, 1915.